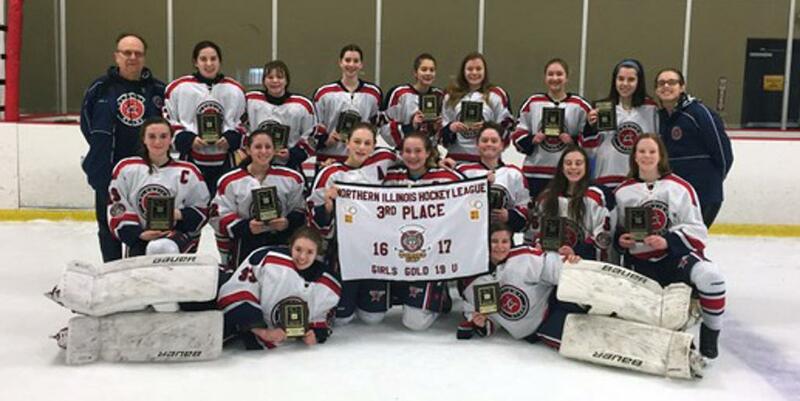 Congratulations to the Glenview Stars Girls U14 team for bringing home the 3rd place flag in the NIHL Wolves Cup. Playing up in the Girls 16U/19U Gold division, the Stars were put to the challenge against older players and succeeded in bringing home another banner to decorate the Glenview Ice Center. ©2019 Glenview Stars Hockey Association / SportsEngine. All Rights Reserved.